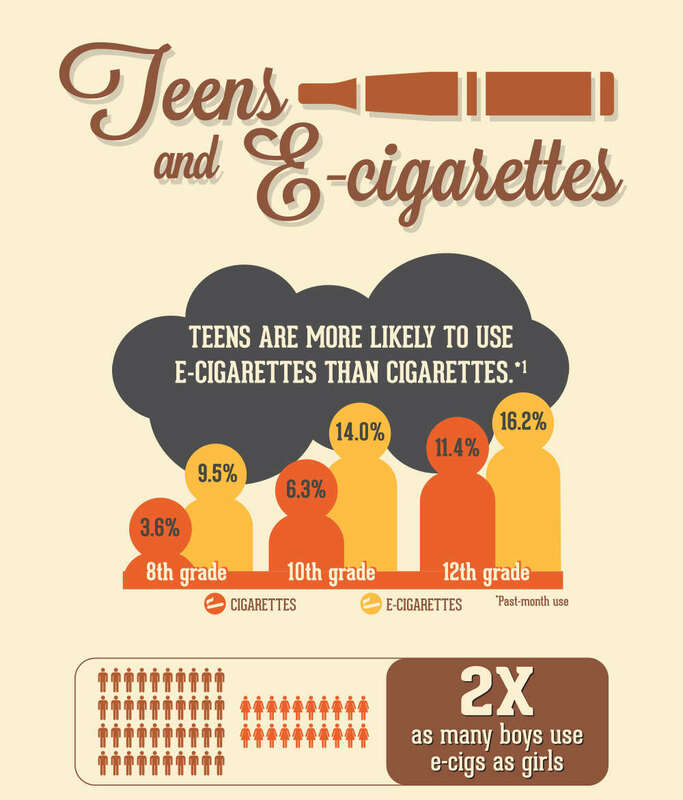 Figure 1: Teens are more likely to use e-cigarettes than cigarettes. Figure 2: Teen e-cig users are more likely to start smoking. 30.7 percent of e-cig users started smoking within 6 months while 8.1 percent of non users started smoking. Smoking includes combustible tobacco products (cigarettes, cigars, and hookahs). 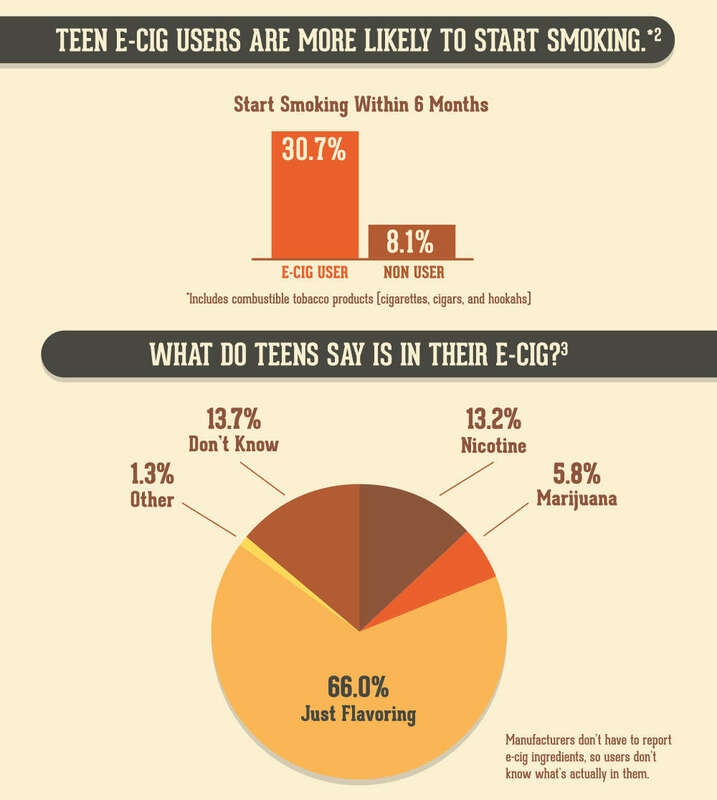 Figure 3: What do teens say is in their e-cig? 66.0 percent say just flavoring, 13.7 percent don’t know, 13.2 percent say nicotine, 5.8 percent say marijuana, and 1.3 percent say other. Manufacturers don’t have to report e-cig ingredients, so users don’t know what’s actually in them. 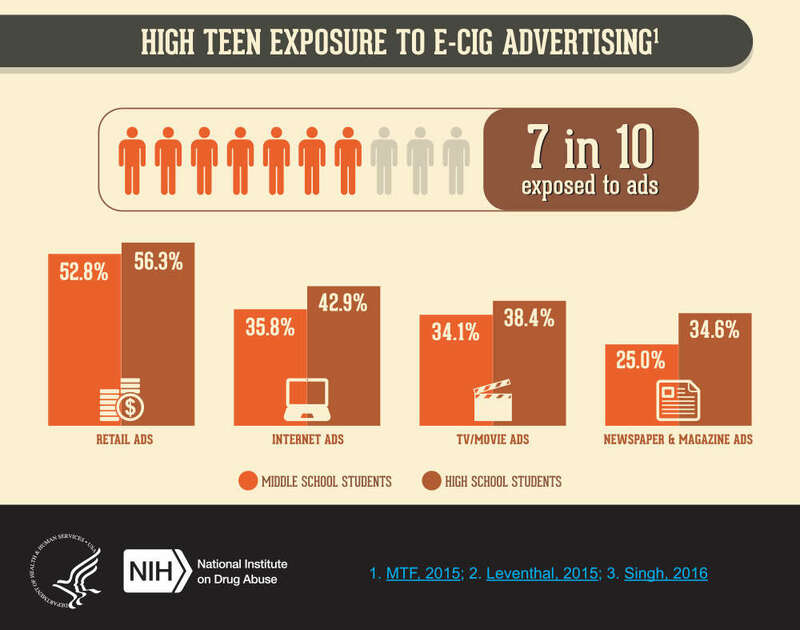 7 in 10 teens are exposed to e-cig ads. Among middle school students, 52.8 percent are exposed to retail ads, 35.8 percent to internet ads, 34.1 percent to TV and movie ads, and 25.0 percent to newspaper and magazine ads. Among high school students, 56.3 percent are exposed to retail ads, 42.9 percent to internet ads, 38.4 percent to TV and movie ads, and 34.6 percent to newspaper and magazine ads.